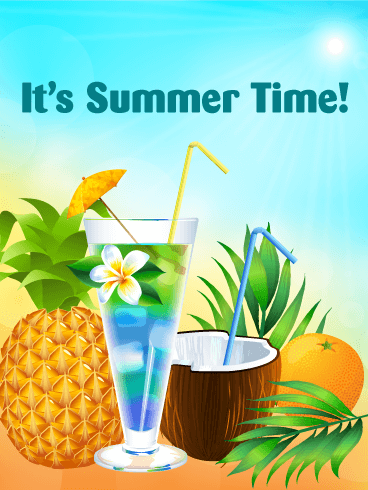 This summer card is a unique way to celebrate the start of the summer season! The flowers are bright without being overbearing, and the colors of the card are tons of fun. Whether you're looking for a great summer card for a friend, family member, child, or teacher, this one is sure to bring a smile to anyone's face. 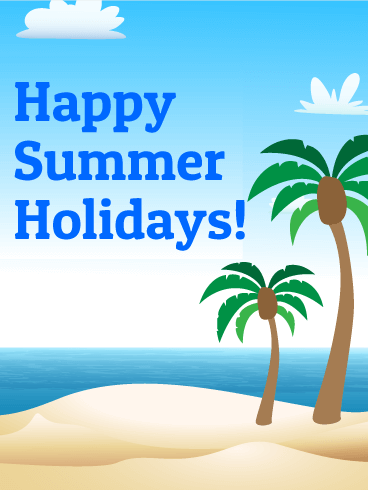 Nothing says summer like clear skies, palm trees, and beaches! 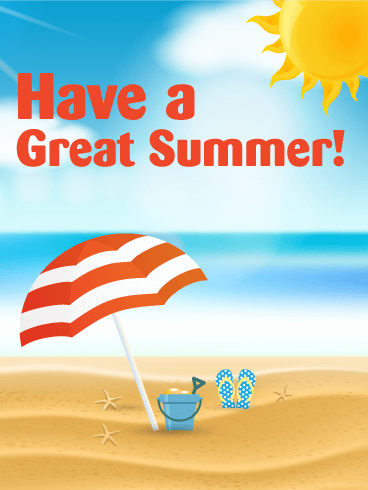 This Summer card is the perfect choice for a teacher at the end of a school year, a friend who's going away to sleep away camp, or anyone who just loves summer! 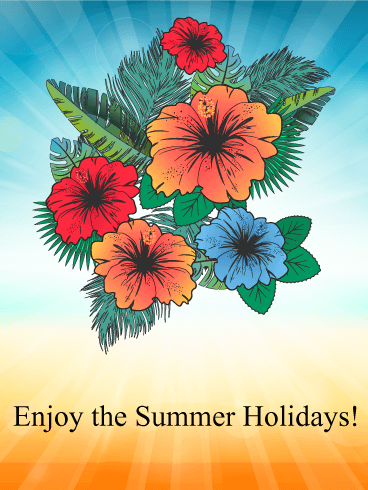 Make someone's day with this awesome summer card!